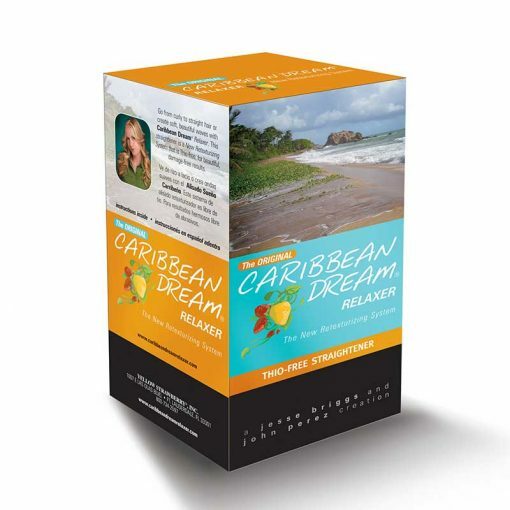 Our high-quality hair relaxing treatments from Caribbean Dream Haircare’s hair relaxer 12-pack is perfect for anyone who dreams about having shiny, sleek, healthy looking hair. Are you interested in turning your frizzy, unruly mane into straight, sleek, shiny hair that is soft to the touch and oh so easy to manage? Caribbean Dream Haircare’s hair relaxing treatment 12-pack is perfect for anyone who needs a hair makeover or simply wants a change they can embrace. Our products are gentle while being effective. Get the straight, relaxed hair you’ve been wanting with Caribbean Dream Relaxer today! Once hair has been re-texturized with the CDR treatment, DO NOT WASH HAIR FOR 72HRS. Hair must remain loose and unrestricted. (No rubber bands or barrettes). Deep conditioning is required after our CDR treatment, may be done immediately after receiving treatment, and is recommended weekly.